I’M luxuriating in the warmth of the massage suite as my therapist expertly eases my weary muscles. Listening to the meditation music gently playing in the background, I drift in and out of a light sleep, then crawl into a state of complete relaxation. It’s mid-December and I am in Sainte Foy, a picture-postcard village set amongst tightly packed snow-tipped fern trees in the French Alps, two and half hour’s drive from Lyon. I’ve been persuaded to join a crowd of friends on a girlie week away. 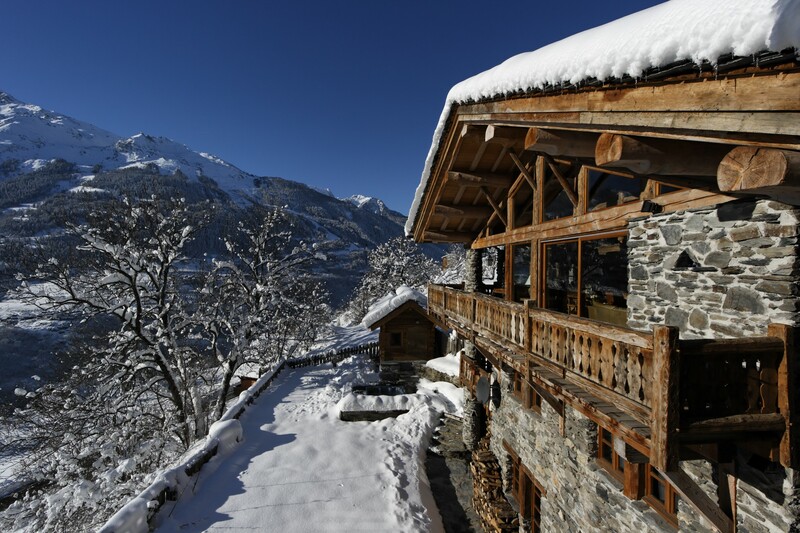 We’re staying at Chalet Merlo, managed by Premiere Neige, a luxury chalet company dedicated to providing discerning guests with outstanding skiing holiday experiences. In fact, they have just been named Britain’s leading ski operators at the recent Telegraph Travel awards. 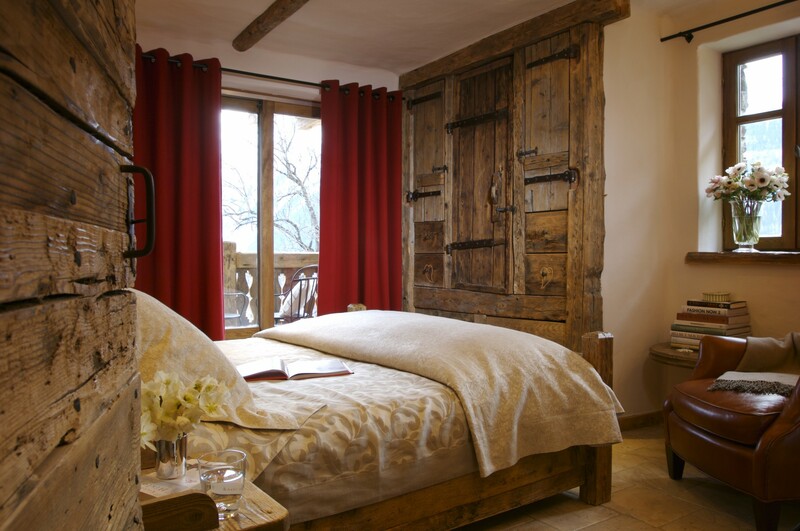 It’s is a fully catered Savoie-style chalet spread over three floors, with a balcony offering stunning views overlooking the Tarentaise valley and the snow-capped mountains of Ste Foy and Mont Pourri. It is set amongst a cluster of similar styled rustic dwellings, and has been built to uber-luxurious specifications comprising six en suite wooden-beamed bedrooms sleeping up to 12 people. From my cosy room on the lower ground floor, I can sneak, champagne in hand, into the sauna or steamy hot tub before bedtime, which guarantees me a peaceful night’s sleep. Oversized pieces of art line the walls and various bronze sculptures punctuate the book-filled library shelves. The intimate lounge area leads onto the balcony, which seems to be the perfect spot for enjoying a coupe of après ski cocktails. 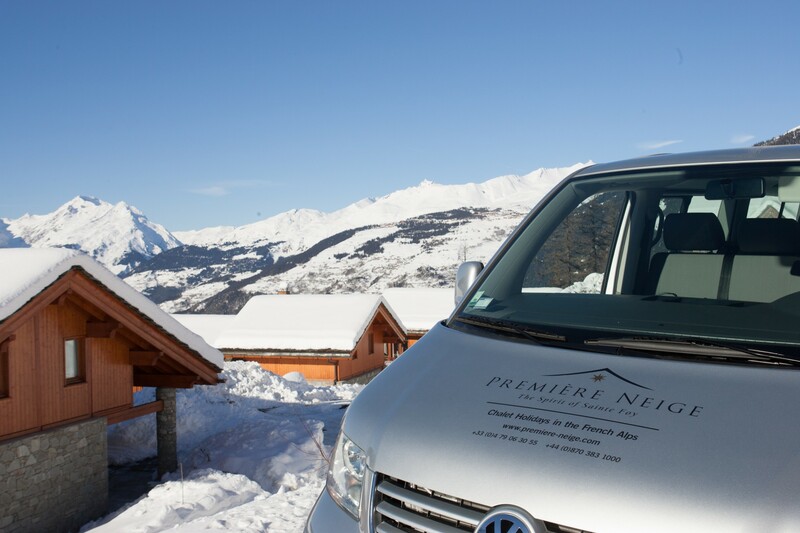 We have our own chalet host, a professional private chef, a butler-come-handyman and a chauffeur on-hand to drive us to our various daily activities in the pre-warmed Premiere Neige minibus. Thankfully there’s no need to take advantage of any of the in-resort concierge services offered as staying here, everything is seemingly arranged for us. My girlfriends are all capable skiers as they ski every year, but I have never skied and I have no inclination to learn. Flying down a ski-slope without being able to stop myself and ending up in some ungainly position deep in the snow just doesn’t seem like much fun. Some would even regard me as “snowphobe”, but for fear of missing out, I desperately want to explore what else there is to do in the mountains. Having grown up in the UK, I have always considered snow as a negative gift from Mother Nature. A paltry smouldering of white powder during the night leaves roads turning to ice, causing inconvenience and hazardous conditions. But at a ski resort a heavy snowfall during the night is a welcome, eagerly anticipated event. Although the snow is ankle-deep, the nocturnal snowploughing ensures the roads are clear for the daily rush of excited skiers and snowboarders driving to their resorts. 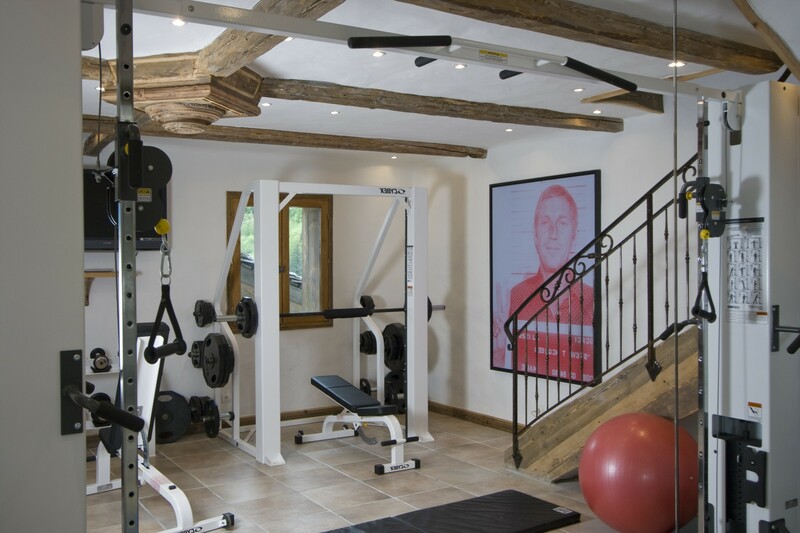 In the morning, after we’ve had our private Pilates class, held in Chalet Merlot’s gym, we’re transported off to pick up our equipment at SkiSet. While the girls are getting kitted out with their all their ski gear, I place my feet into the Boot Doc Foot Scanner, which ensures the exact fit of ski boots, or in my case, snowshoes. They resemble an oversized tennis racket head with metal studs on the bottom, which enable easy walking in the snow. Togged up in the obligatory layers of thermal clothing, ski jacket, topped off with a pair of sunshades and a bobble hat, I am utterly snow-proofed. I can’t even feel the cold as I soon discover that snowshoeing is a great workout. I’m completely breathless ascending the steep snow-covered mountain, while I take in the never-ending views across the expansive white wilderness. I inhale the freezing air slowly, and for the first time in my life, I am relishing the surrounding snowscape, empowered by my snowshoes, which make me feel totally secure in the snow. I eventually arrive at the mountaintop restaurant to meet up with my friends who have just completed their morning skiing session and we all tuck in to our hearty, well-earned lunch. The girls explain the rudiments of a winter sports holiday. They enthuse about Sainte Foy’s four queue-less ski lifts and the choice of uncrowded slopes. There is a slope for novice skiers, one for the more experienced skiers, an off-piste slope for powder snow seekers, and there is even the option to go heli-skiing. 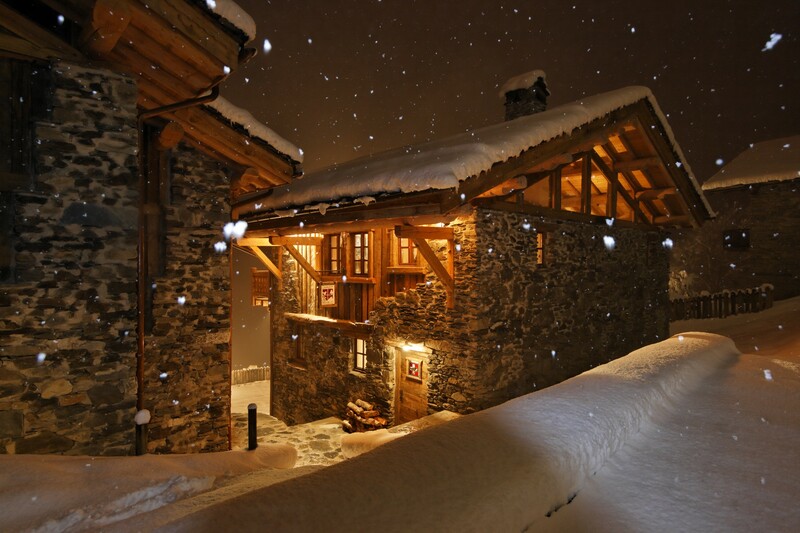 As Sainte Foy is nestled between four world-class skiing resorts, including Val D’Isere and Tignes, guests have the option to indulge in a multi-resort skiing holiday. 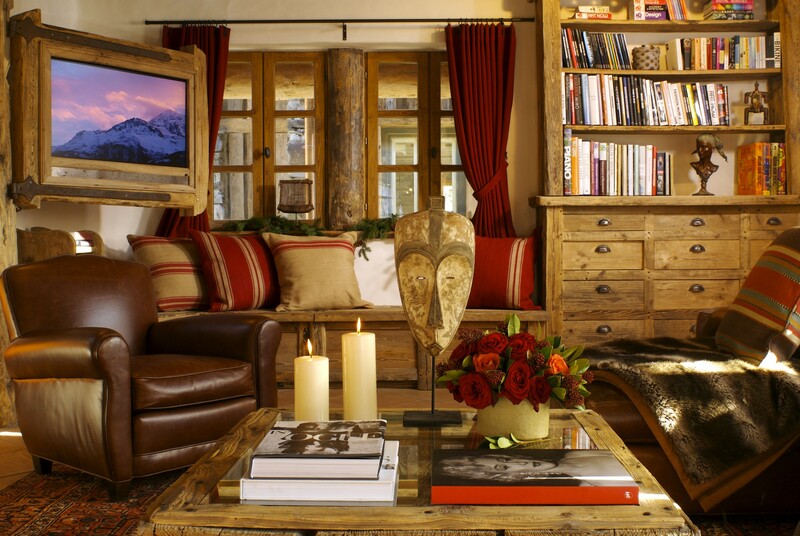 The “ski safari” package is also great for non-skiers as it allows trips to a variety of quaint villages and larger resorts for shopping and lunchtime dining experiences. I love being able to meander amongst the farmers markets, then to dart in and out of the glamorous boutiques lining the snowy streets – a favourite pastime of mine, which I am surprised to be able to relish here. Mealtimes are a social symphony all in themselves and I even manage to bag some helpful cooking tips from our friendly chef George, who expertly crafts each meal. A fine dining experience awaits us every night, served around a huge wooden dining table, and paired with quality wines from around the world. 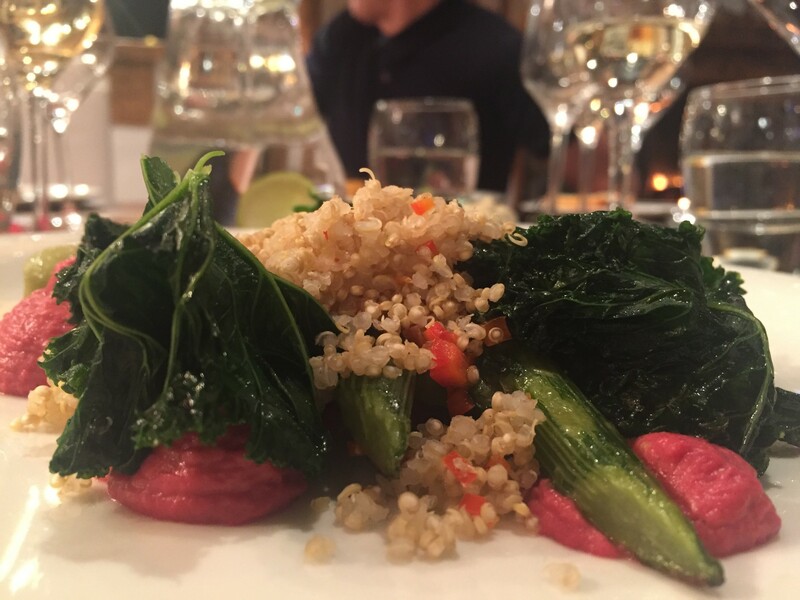 My favourite evening is when we relish the medley of humus served with warm quinoa and crunchy kale, creating the perfect prelude to the sea bass, fennel puree and potato bayonet, and followed by fragrant spiced poached pears. Each evening we conclude our dinner with a spread of local cheeses and chutney, served in the lounge in front of the crackling fire as we reflect on our snow experiences of the day. 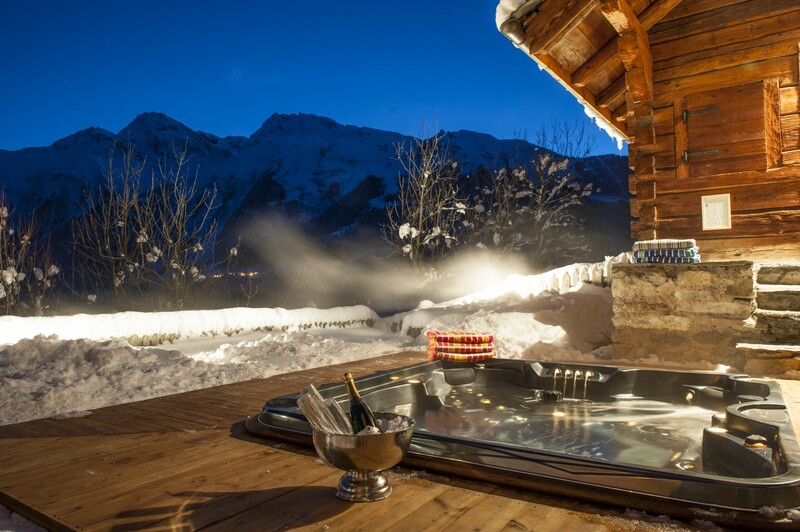 Premiere Neige has indulged us all at while staying at Chalet Merlot – I have experienced a holiday I would never have considered taking, and I have loved every moment I’ve spent in the snow. 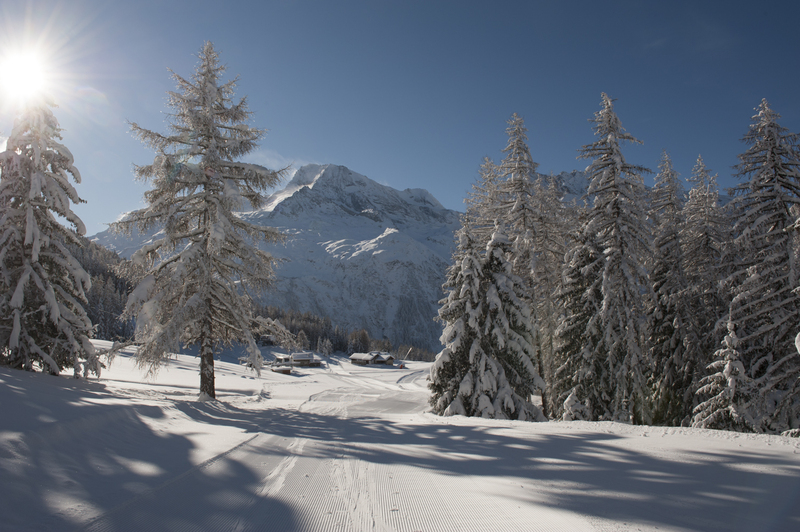 I leave Sainte Foy with a smile as broad as the base of my snowshoes.